The general availability of information technologies and a great change in our attitude to their presence allowed the quick development of the Internet of things. 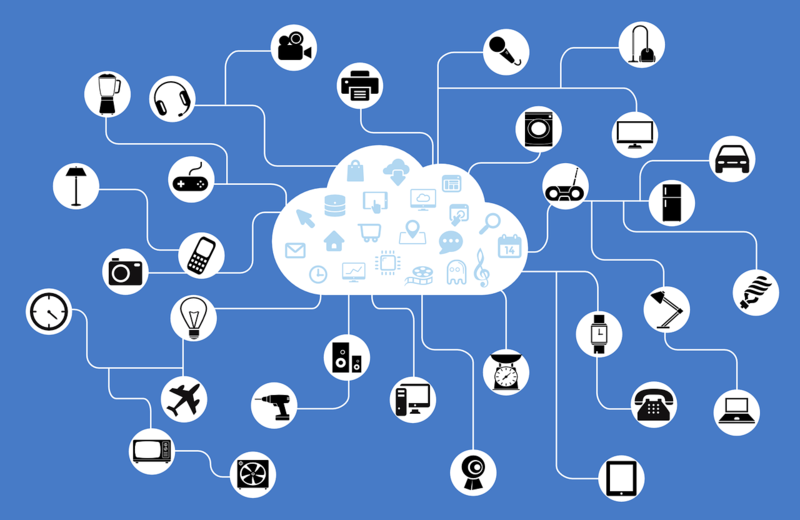 During the last 10 years, IoT has managed to penetrate almost all the spheres of our life. IoT is transferring the role of caring of human comfort and safety to smart gadgets that perform monotonous or sometimes dangerous work. IoT is now forming a common information space with humans. In spite of all the controversy and even fears about the omnipresent IoT, the latter is intended to make a man’s life easier and more comfortable. Obviously, IoT capabilities are not constrained only to this, but, nevertheless, the majority of smart devices that are well-received deal with functional comfort of our everyday life and work. Data received from them is already seen by all as a totally common phenomenon of modern life and does not cause internal rejection. Today, whether they want it or not, consumers have to get used to the fact that most manufacturers have started to actively implement IoT-technologies into home appliances and other products. For example, as of now, it is difficult to find a TV in a store that would not be able to connect to the Internet. Actually, that has already become a standard function for a lot of devices, and which very soon will be massively introduced also by manufacturers of refrigerators, tea kettles, washing machines, and so on. The most popular and broadly used IoT-solution for home comfort is called a “smart home.” With its assistance, it became possible to remotely manage your house: turn on / off various electrical devices and lighting, oversee children and animals with a video camera and a smartphone, set desirable temperature parameters, and much more. Speaking about functional comfort, the Internet of things is not just for home use only. The “comfortable” IoT solutions also include special sensors and wearable gadgets that make it possible to monitor a person’s physical condition, make online payments, park and warm up vehicles. GPS systems, RFID tags, ATMs, POS terminals, and tons of objects connected to the network create a zone of functional comfort and simplify our life. Apart from comfort, IoT allows to pass on to machines different types of labor-intensive, repetitive, dangerous, or harmful processes in various fields. Smart gadgets liberated people from routine work. Nowadays they automatically, under any weather conditions, 24 hours a day, with no weekends and vacations, control industrial systems, the condition, and transportation of goods, regulate traffic, monitor the ecological situation, and do lots of other useful things. Computerization of standard processes using IoT equipment is actively used today in agriculture, medicine, and transport, minimizing the human factor and its inherent risks. The automatic irrigation systems, the monitoring of the soil condition and the crops have proven themselves well in agriculture. The sensors assigned to specific areas or even individual plants generate around-the-clock data stream, which, after processing, transmits to the operator the data about the condition of the field and alert about the need to take certain measures. With the help of special solutions based on IoT, it became possible not only to monitor distant offshore wind turbines. This permits not to send specialists to remote offshore platforms for conducting preventive maintenance. Surely, these are just several notable examples. At the same time, the mass automation of everything and anything based on the Internet of Things is still not always advisable. The use of smart devices is hampered by various issues, most of which are related to the low speed and substantial lag of data transmission together with insufficient security level of the networks and devices. An enormous number of smart and at the same time potentially vulnerable gadgets connect to the Internet every day. The data IoT gadgets collect is highly valuable to cyber criminals, in addition, the network infrastructure can be damaged or destroyed as a result of a hacker attack. That is why, different methods of safeguarding financial, personal, and any other data and cybersecurity, in general, are equally important for business owners, governments, and individual users. In spite of fair criticism in regard to the weak security of smart devices themselves, guaranteeing data security and integrity is a fundamental part of the IoT ecosystem. Security measures, that provide functioning of IoT gadgets are applied in four directions: connection, identification, data encryption, security of applications. As a rule, these measures are implemented by each device and software manufacturer individually. Essentially, IoT protection systems are aimed at detecting and preventing data leakage. Also, they are used to prevent outsiders from unauthorized access into the system in order to steal information, which in some cases is more dangerous than taking control of the gadget. At the same time, the IoT devices themselves are parts of security systems. A wide range of home security systems have become widespread today. Smart sensors warn about undesirable events such as house penetration, gas leaks, smoke, and so forth. Children’s smart watches make it possible not only to monitor the children’s location through the parent cell phone but also to maintain voice communication with them, send alarm signals when device gets removed or exits a specific zone. Systems of “mass” security function in places of substantial concentrations of people. With their help, recognition of passengers’ faces is carried out in airports and train stations. This makes it possible to track the movement of dangerous criminals and terrorists. The European Commission started financing the MONICA project aimed at developing a security system to protect people in crowded areas (stadiums, amusement parks, etc.) It looks like smart chest cameras, bracelets, drones, GPS systems, and RFID tags will be a part of most security systems very soon. The Internet of Things, despite problems with its own security, is already playing an important role in the global security paradigm. The task of IoT developers is also to guarantee that the improvement of security systems does not lead to the appearance of new vulnerabilities. The development of IoT sphere is going hand in hand with an increase in the amount of data collected and stored. It is predicted that big networks consisting of billions of smart gadgets will be exchanging data with each other very soon. This will result in entwining of the digital world with the physical one. We are facing an absolutely new information environment where smart things are going to record everything that happens in the real world, analyze accumulated experience, and make decisions for us. This information environment will change all spheres of human life and eventually may transform people into some kind of device managers. And who knows what part is going to be played by artificial intelligence. Excellent blog!!! This blog describes the power of IoT and how it will change the way humans lives their life.